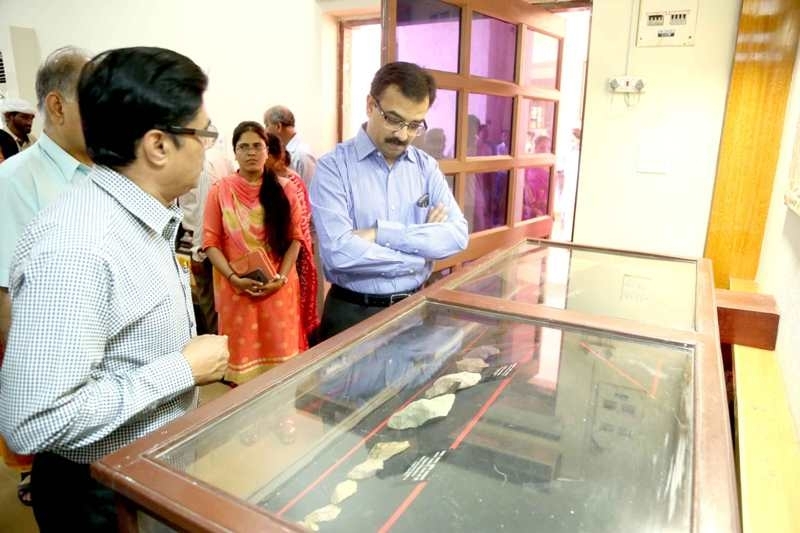 Bhopal: Archaeological Commissioner Anupam Rajan inaugurated an eight-day photo exhibition organised on 'Archaeological Heritage of Madhya Pradesh' in the Bhopal State Museum, Shamla Hills. Sixty selected photographs of important monuments from stone age to 20th Century have been displayed in the photo exhibition. Rare photographs of rock shelters of Bimbaitika, temples of Khajuraho, Sanchi Stupas, Monument of Gwalior Fort, monuments of Orchha and many forts, garhi, palaces, Kothi, Chhatri, tomb, masques and Bawdi have been displayed in the exhibition. Rock shelters of Bheem Baitika are important centre of different phases of Paleolithic human civilisation. From this region, fossil of ancient human brain has come to light from village Hathnora of Raisen district situated on the bank of Narmada river. Pre Paleolithic age equipment, weapons have been discovered from lower layers of these rock shelters in archeological excavation, which are around four lakh to ten thousand years old. All these historical evidence have been displayed through photographs.